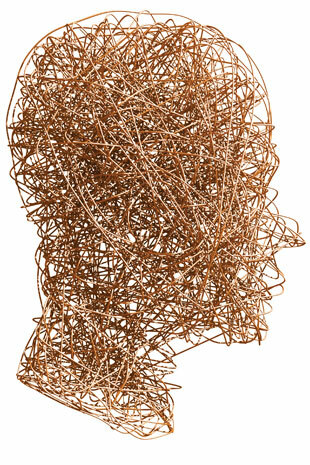 A dramatic loss of copper in key brain regions may be central to Alzheimer’s disease. Could restoring metals in the brain help? © KURT DRUBBEL/ISTOCKPHOTO.COMMany people threw out their aluminum pots and pans in the 1960s and 1970s, when they heard that researchers had discovered small amounts of the metal in the sticky amyloid plaques that litter the brains of Alzheimer’s patients. While the notion that ingestion of aluminum products might contribute to the disease has since been discredited, evidence is accumulating that metals such as copper, zinc, and iron can play an important role in driving brain degeneration. These biologically active metals have been linked not only to Alzheimer’s disease (AD), but also to Parkinson’s, motor neuron disease, and a group of childhood brain disorders called lysosomal storage diseases, among others. That biometals influence brain health and disease should not be surprising. Ions of copper, zinc, iron, manganese, and cobalt are all key cofactors in a wide range of brain cell functions, including cellular respiration, antioxidant removal of toxic free radicals, and oxygen delivery to brain cells. (See illustration.) These metals are also cofactors for cell signaling at synapses. In fact, it has been estimated that half of all proteins in the body form complexes with metals. Exciting new therapeu­tic approaches, involving the delivery of metals to the brain, are now being tested for their ability to restore lost neu­ronal function. Given the ubiquity of metals’ presence in the brain, it follows that even small errors in the way biometals are regulated are likely to impact cell function and, ultimately, neuronal survival. Early studies in Alzheimer’s patients identified binding sites for copper and zinc ions on the amyloid beta peptide, the primary constituent of extracellular amyloid plaques in the brain, and imaging studies have since confirmed that the plaques are laden with these metals. (See illustration.) Moreover, scientists have found that biometals control the ability of the rogue peptide to self-aggregate into plaques. When and how biometals become dysregulated in neurodegenerative disease is now an area of intense study. Perhaps more importantly, exciting new therapeutic approaches, involving the delivery of these metals to the brain, are now being tested for their ability to restore lost neuronal function. It may be that overall copper levels do not change greatly in the AD brain, but that the metal is misplaced. 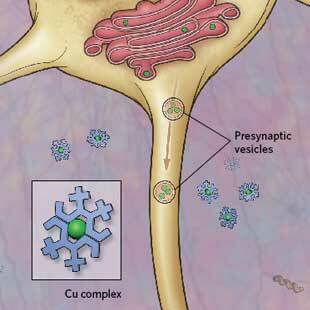 It’s possible, for example, that copper is released from synaptic junctions in the brain during normal neuronal firing, but that in Alzheimer’s patients, some of the copper binds to the amyloid beta peptide in the extracellular space before the metal could be picked up by postsynaptic neurons. Over time, copper-laden amyloid peptides may accumulate extracellularly, perhaps as a way to protect cells from damage by acting as a waste “sink” for various metals and toxic molecules. However, the buildup of copper in the extracellular space may lead to a deficiency of intracellular copper, which can impair neuronal function. (See “How Copper Loss Kills” at right.) 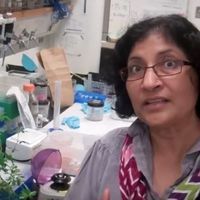 Alternatively, there may be subtle changes to copper transport or turnover of copper-binding proteins that lead to overall loss of the metal in specific compartments of brain cells. There are several ways in which copper loss might inflict neuronal damage. As a cofactor of cytochrome c oxidase, which forms a part of the mitochondrial electron transport chain driving ATP production, copper is critical for energy generation in all cells. This function is especially important for energy-hungry neurons. Loss of copper could lead to an energy deficiency that dramatically affects neurons’ abilities to maintain electrical potential and transport signals up and down long axons. Copper loss could also increase oxidative stress, thought to be the primary driver of cell death in neurodegenerative disease. Copper is a key molecule in protecting neurons from high levels of free radicals, which rapidly bind and damage proteins, lipids, and DNA. The enzyme copper-zinc superoxide dismutase (Cu/ZnSOD) helps neurons defend against this attack by converting toxic superoxide into hydrogen peroxide, which can be easily mopped up by other antioxidant molecules. The copper in Cu/ZnSOD mediates the transfer of electrons to detoxify superoxide, and a loss of brain copper quickly impairs the enzyme’s ability to protect neurons from free-radical damage. Finally, strong evidence suggests that copper is a major intracellular signaling molecule, which is not surprising given the metal’s potent ability to act like a switch by flipping between oxidation states. Copper signaling appears to control many cell processes, including synaptic transmission, and the loss of copper can wreak havoc with these signaling networks. 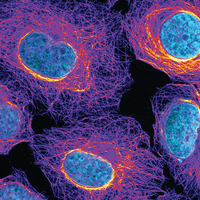 To measure copper levels in different subcellular compartments, researchers are turning to a new, high-resolution microscopy method that uses synchrotron-based X-ray fluorescence (SXRF). This technique, which involves the focusing of an X-ray beam onto a tissue sample to spur the release of photons characteristic of the metal detected, is beginning to provide the submicrometer resolution needed to determine exactly which areas of cells experience a loss or gain of copper in the AD brain. 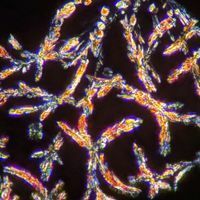 It is likely that these tools will also uncover substantial localized changes in other biometals. Although overall zinc and iron levels did not vary significantly between AD and healthy brains in Kirsch’s 2011 meta-analysis, this doesn’t rule out complex subcellular changes to the location of these metals. Researchers at the University of Melbourne and the Commonwealth Scientific and Industrial Research Organization (CSIRO) in Australia recently used SXRF to map fluctuations in copper, zinc, and other biometals in neurons grown in vitro from mice with a lysosomal storage disorder (LSD) called neuronal ceroid lipofuscinosis type 6 (CLN6). The team localized the changes to specific subcellular compartments where loss of the CLN6 protein, whose function remains unknown, drives the disease.5 The techniques are currently being adapted to investigate copper at the subcellular level in AD animal models and human postmortem brain tissue. Meanwhile, new, higher-resolution mass spectrometers, combined with chromatography techniques, are helping to determine how much copper (or other metal) is bound to particular proteins and to visualize where those proteins are localized within subcellular compartments. Together, these techniques are providing an unprecedented window into the workings of biometals inside neurons. Is copper an early player? Whether copper loss is a primary cause of AD or a secondary effect, albeit one that is potentially very harmful in its own right, remains unclear. Diagnosing AD early in disease progression, at a stage called mild cognitive impairment, is still not readily achievable, and even if AD is diagnosed relatively early, collecting brain material from patients would involve hugely invasive brain biopsies. As a result, many researchers have pointed to studies of transgenic mice, which suggest that the overexpression of certain AD-related proteins, such as the amyloid beta peptide, could serve as a biomarker for early detection in the clinic. Expression of these human proteins in such mice, however, is normally manyfold higher than in humans, and for proteins such as amyloid beta peptide that have a normal tendency to aggregate, such overexpression may not be physiologically relevant. 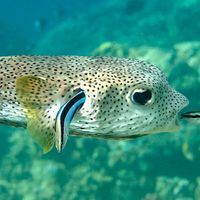 A more promising option may be to study changes in the brains of animals that experience naturally occurring neurodegeneration similar to the changes observed in the brains of patients with AD or other diseases. Two sheep breeds, called Merino and South Hampshire, for example, as well as a mouse model called nclf, carry natural disease mutations that cause the group of LSDs known as neuronal ceroid lipofuscinoses. 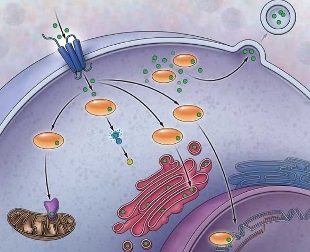 COPPER'S CELLULAR ROLES: When copper enters the cell, it is typically bound by a chaperone protein that carries the metal to various protein targets. Copper is also thought to play a role in intracellular signaling, via the modulation of gene expression and synaptic transmission between neurons, among other functions. When copper is in excess, the chaperone protein ATP7a (or ATP7b in the liver) traffics it to the cell membrane, where it can be expelled into the extracellular space, likely by pumping it into as-yet uncharacterized vesicles. See full infographic: JPG | PDF© SCOTT LEIGHTONLSDs comprise a range of diseases, most of which cause some form of cognitive decline or impairment in children and young adults. While each specific disease is rare, as a group LSDs are quite common, affecting 1 in every 5,000 people. The name describes a main feature of the disease—accumulation of waste material called lipofuscin in lysosomes—but this is not necessarily a pathological feature, as no direct relationship has been demonstrated between lysosomal storage of lipofuscin and an LSD patient’s decline—though researchers have linked lipofuscin accumulation in lysosomes with aging. The absence of such a relationship is remarkably similar to AD, in which amyloid accumulation has not been definitively linked to brain deterioration. A key feature shared by most LSDs and AD is localized death of neurons in the brain, which ultimately underlies the fatality of both disease types. While little is known about the causes of neuronal death in LSDs, patient brains examined postmortem have revealed changes strikingly similar to those seen in the AD brain, including extracellular protein accumulation, alterations to cytoskeletal proteins, activation of glia, and oxidative stress, as well as increases or decreases in biometals. A similar pattern was also noted in both the Merino and South Hampshire sheep models, which follow a disease course that is closely related to that seen in human LSD patients, covering approximately two years with deterioration starting in the occipital lobe and progressing through different brain regions. The sheep models showed large changes in copper and other biometals at very early disease stages. These changes spread from region to region as other neurological alterations progressed, providing strong evidence that the changes in biometals are one of the earliest and most crucial shifts in some diseased brains. Researchers are now looking at whether similar patterns are at play in AD, an endeavor that may soon be aided by improvements in the power and resolution of brain scanning techniques. COPPER IN THE ALZHEIMER'S BRAIN: Biochemical studies of the brains of Alzheimer’s patients have revealed dramatic regional drops in copper levels—as much as 50 percent of the metal being lost from the hippocampus and amygdala, both critical regions for memory processing and emotions. Where that copper goes, however, remains a bit of a mystery. Copper within the cell may accumulate in some regions while leaving other areas deficient. 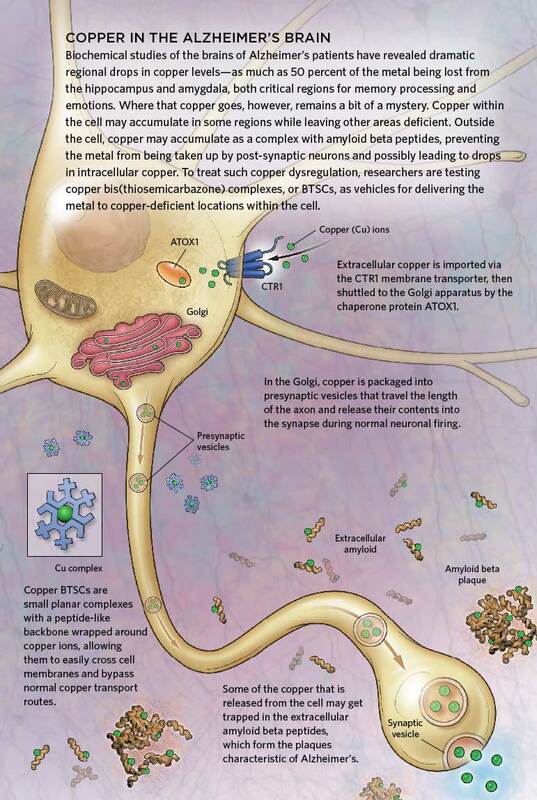 Outside the cell, copper may accumulate as a complex with amyloid beta peptides, preventing the metal from being taken up by post-synaptic neurons and possibly leading to drops in intracellular copper. To treat such copper dysregulation, researchers are testing copper bis(thiosemicarbazone) complexes, or BTSCs, as vehicles for delivering the metal to copper-deficient locations within the cell. See full infographic: JPG | PDF© SCOTT LEIGHTONRecognizing that a loss of metal regulation may be critical in AD and other neurodegenerative diseases, the obvious next question is: How might we fix it? If there are complex errors in metal transporters or chaperones that have resulted in abnormal copper movement and storage over years or even decades, simply eating more copper probably won’t help. Indeed, dietary treatments involving metals have been trialed without success.7 The answer then lies in restoring normal brain copper homeostasis while bypassing the faulty regulatory systems, at least until we know what those systems are and how to restore them. This is an approach that my colleagues and I have pioneered with promising outcomes for AD and, subsequently, for other neurodegenerative diseases, including Parkinson’s disease (PD), motor neuron disease (MND), and LSDs. Key to this success is an old class of metal-based drugs known as bis(thiosemicarbazones), or BTSCs. These compounds have peptide-like backbones that bind copper ions, forming small, planar metal complexes that easily cross cell membranes, including the blood-brain barrier. (See illustration.) Researchers have experimented with copper-BTSCs for several decades, mostly as cancer imaging agents due to their retention in some tumors. But the idea of delivering copper to the AD brain was considered foolish: although copper forms part of the antioxidant enzyme Cu/ZnSOD, the same metal, if not regulated carefully, can itself interact with oxygen to produce toxic free radicals and promote inflammation. In fact, many have suggested the importance of removing copper from the AD brain to prevent oxidative stress and protein aggregation. If there are complex errors in metal transporters or chaperones that have resulted in abnormal copper movement and storage over years or even decades, simply eating more cop­per probably won’t help. In 2006, my colleagues and I demonstrated that, rather than remove copper from amyloid as intended, copper chelation treatments are far more likely to redistribute copper within the brain.8 This was supported by animal studies in which certain copper chelators resulted in increased brain copper. Based on these results, I teamed up with Kevin Barnham and Paul Donnelly at the University of Melbourne to investigate what would happen if we applied copper-BTSCs to cell models of AD. From our preliminary work, we knew that increasing cellular copper could reduce some features of AD in cells. When we tested the copper-BTSCs, we saw an increase in intracellular copper and a dramatic reduction in key markers of AD, including amyloid levels and microtubule protein tau phosphorylation. We then tested the BTSC complexes in a mouse model of AD and found them to have the same effects. Moreover, the treatment improved memory performance in the animals.9 We’re still investigating the mechanism of this neuroprotective action, but clearly it depends on bypassing normal copper handling routes. Inside the brain, copper may modulate the activity of deficient signaling molecules in neurons, and possibly in glia, leading to the restoration of many cellular functions and resulting in improved neuronal health and survival. Subsequent studies have shown similar action of the metal complexes in cell and animal models of PD, MND, and LSDs.10,11 The compounds appear to impart a wide range of therapeutic effects, including improvements to synapse formation, protection against oxidative stress, and amelioration of inflammatory changes in the brain. Several potential drugs are now being examined for their safety and efficacy in early clinical trials. Prana Biotechnology’s 8-hydroxyquinoline drug, PBT2, a compound that redistributes copper and zinc with neurotrophic effects, is currently in Phase 2 trials in AD patients. Procypra Therapeutics, which licensed our findings from the University of Melbourne, is developing a BTSC drug called copper(II)-diacetyl-bis(N4-methylthiosemicarbazone), or Cu-ATSM, with plans for clinical trials in PD patients in three years. Such new treatments may be able to restore copper homeostasis in patients with neurodegenerative disease by redistributing copper to brain regions and cell compartments where it is currently deficient. Anthony White is an associate professor at the University of Melbourne, Australia, where he heads the Biometals in Brain Health and Disease Laboratory. M. Schrag et al., “Iron, zinc and copper in the Alzheimer’s disease brain: a quantitative meta-analysis. Some insight on the influence of citation bias on scientific opinion,” Prog Neurobiol, 94:296-306, 2011. L. Rossi et al., “Mitochondrial dysfunction in neurodegenerative diseases associated with copper imbalance,” Neurochem Res, 29:493-504, 2004. M.W. Bourassa, L.M. Miller, “Metal imaging in neurodegenerative diseases,” Metallomics, 4:721-38, 2012. H. Akatsu et al., “Transition metal abnormalities in progressive dementias,” Biometals, 25:337-50, 2012. A. Grubman et al., “Deregulation of subcellular biometal homeostasis through loss of the metal transporter, Zip7, in a childhood neurodegenerative disorder,” Acta Neuropathol Commun, in press. K.M. Kanninen et al., “Altered biometal homeostasis is associated with CLN6 mRNA loss in mouse neuronal ceroid lipofuscinosis,” Biol Open, 2:635-46, 2013. H. Kessler et al., “Intake of copper has no effect on cognition in patients with mild Alzheimer’s disease: a pilot phase 2 clinical trial,” J Neural Transm, 115:1181-87, 2008. A.R. White et al., “Degradation of the Alzheimer disease amyloid beta-peptide by metal-dependent up-regulation of metalloprotease activity,” J Biol Chem, 281:17670-80, 2006. P.J. Crouch et al., “Increasing Cu bioavailability inhibits Aβ oligomers and tau phosphorylation,” PNAS, 106:381-86, 2009. C.P. Soon et al., “Diacetylbis(N(4)-methylthiosemicarbazonato) copper(II) (CuII(atsm)) protects against peroxynitrite-induced nitrosative damage and prolongs survival in amyotrophic lateral sclerosis mouse model,” J Biol Chem, 286:44035-44, 2011. L.W. Hung et al., “The hypoxia imaging agent CuII(atsm) is neuroprotective and improves motor and cognitive functions in multiple animal models of Parkinson’s disease,” J Exp Med, 209:837-54, 2012.